The world's leading trade show for industrial technology, Hannover Messe, runs from 1- 5 April this year. Telenor Connexion will be at the event to demonstrate how manufacturers can easily capture the business value of connected products. 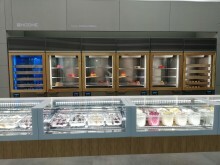 Live customer demos and presentations during the week will provide insights on how connected products have enabled leading manufacturers to reduce costs related to warranties and maintenance while improving operational efficiency, uptime and customer service. Industrial Pioneers are in focus at Hannover 2019, with a number of events and speakers exploring what it takes to succeed in Industry 4.0 and beyond. Building on nearly 20 years of experience in mobile machine-to-machine (M2M) communications, Telenor Connexion has worked with a number first-mover manufacturers to deploy large fleets of connected products around the world. In the past, a large scale IoT deployment was a complex undertaking which only a focused, innovative manufacturer could handle successfully. 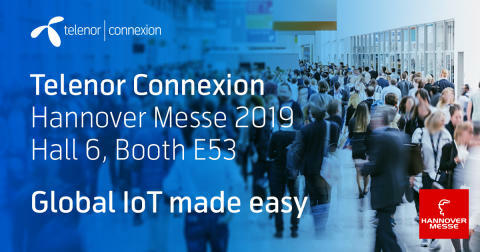 But IoT is not just for daring digital pioneers any longer – that's the message the Telenor Connexion team will share with manufacturers attending Hannover Messe 2019. With the advent of low-cost sensor and communications technologies, less expensive data management and customisable IoT platforms and applications, IoT is becoming more accessible to businesses of all sizes. 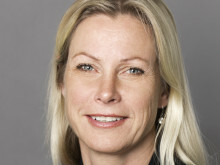 Telenor Connexion hopes to help manufacturers take advantage of these trends and find the value in connected products. 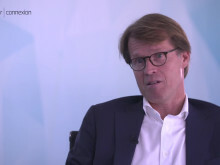 "Plug-and-play IoT solutions are more accessible to a wider range of businesses," says Mats Lundquist, CEO of Telenor Connexion. "In the past, developing an IoT solution required a substantial amount of time, money and technical know-how, but we help our customers reduce complexity and quickly develop IoT solutions that contribute to real business value." To demonstrate how manufacturers are successfully leveraging mobile connectivity to strengthen their businesses offering, a number of customers and partners will give presentations in the Telenor Connexion booth throughout the week. A detailed schedule of these events will be published closer to the event.